Tasting Note: This Marsala is amber in colour with dark gold reflections. Aromas characteristic of great finesse, has hints of raisin and vanilla. The taste is warm and full-bodied, with elegant flavours of bitter almonds and raisins. 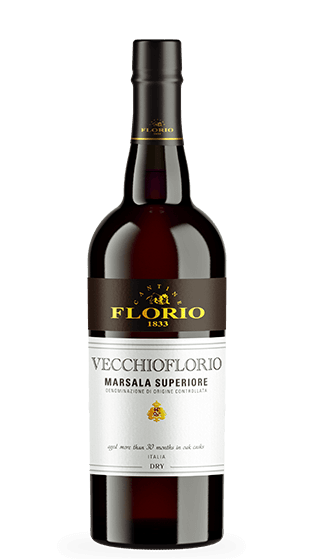 This Old Dry Florio should be served at 10-12°C in a tulip glass of dessert wine size.